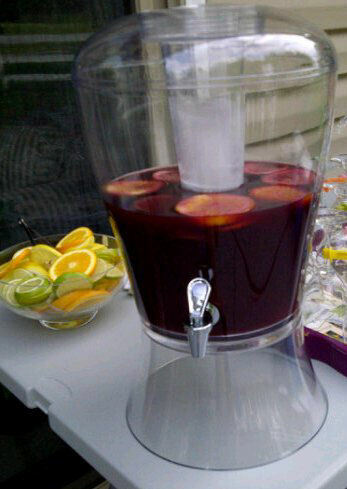 Sangria is a pretty basic idea: wine plus fruit. 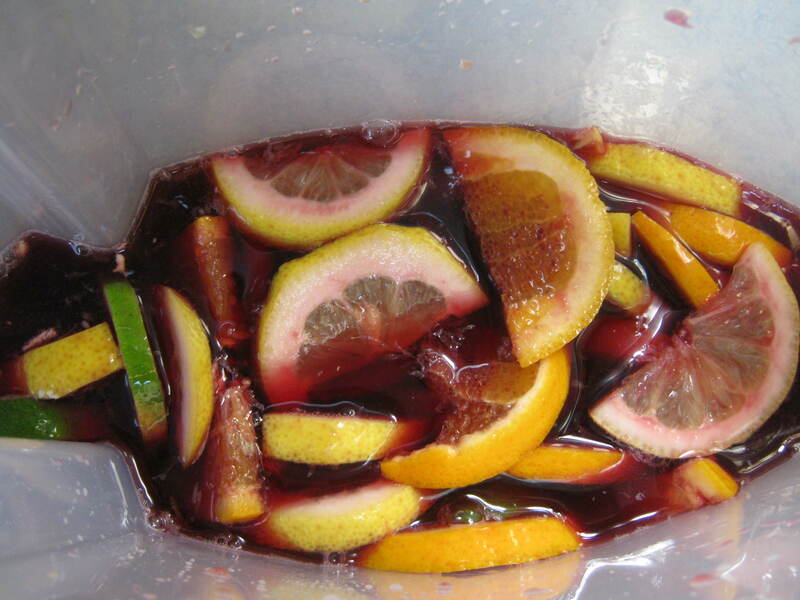 But really good sangria, the kind that transports you to a tranquil café on a leisurely summer afternoon in Spain….that’s another story. And that story is told in this recipe. I have had some form of sangria many times, but never did it taste so good as at a little café in Barcelona, just behind the stunningly beautiful Sagrada Familia cathedral. In fact, it tasted so good that I asked how they made it, and I have been making it that way ever since. Wash and slice the fruit. 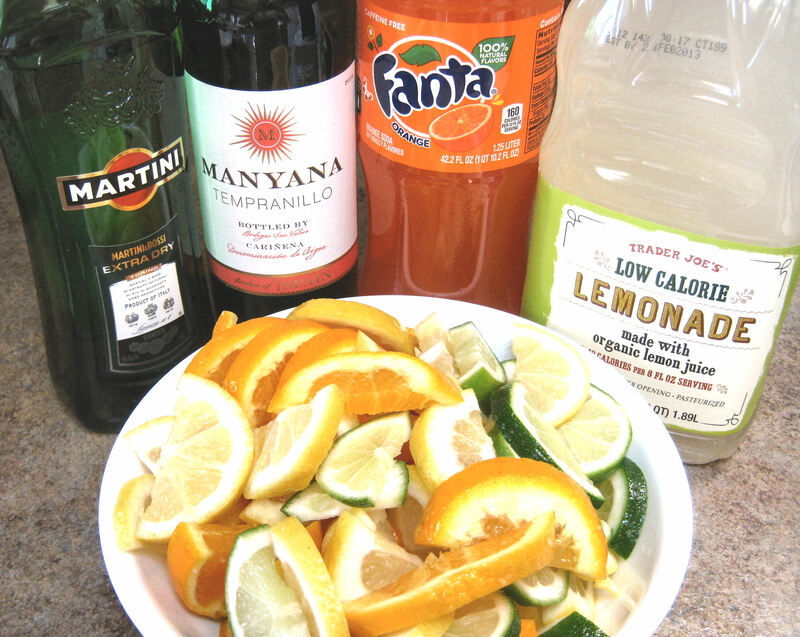 Pour all the liquids into a large container and add half of the sliced limes, lemons and oranges. Chill and serve over ice with the remaining sliced fruit. Enjoy! This one is pretty easy. Get your ingredients ready. For the red wine, I prefer a Spanish Tempranillo. Manyana is a great brand in the $5-7 range. 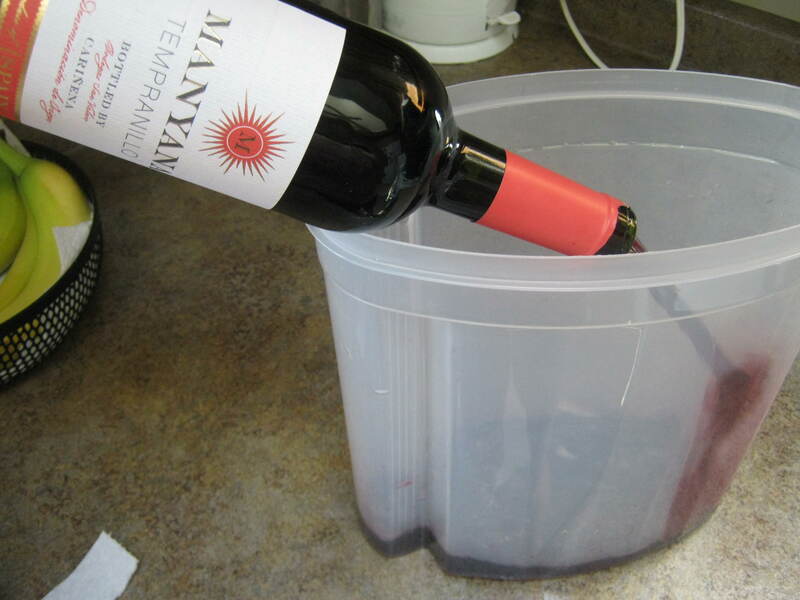 Pour the liquids into a large container. Add everything else and let it chill a few hours. Chill it for several hours, if possible, or even overnight. Serve cold with ice with the remaining sliced fruit. Enjoy! Reblogged this on Still Allergic to STUPID! Although the wine helps..